Yesterday I posted a blog about being thankful and focusing on positive things instead of the negative. Well, tonight I had a really good opportunity to do that! This weekend I am hosting Jon Perrin who is a friend of mine and a former co-worker here at RHEMA Germany. 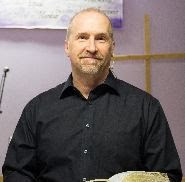 Jon and his family now live and minister in southern Germany and if you would like to know more about their ministry you can follow this link http://www.perrinministries.org/pmwp08/ and go to Perrin Ministries to take a look. At about 10:00 PM Jon and I were doing some computer work when we heard some very loud music. When I say loud it is not an exaggeration but it was so loud things in my apartment were literally shaking! I soon discovered it was the neighbor next to me who was responsible and so I went out on to the balcony to try and get him to quiet down. He did come out to talk with me and he said he would be quiet after I told him it was too late to be so loud. Well, he went back into his apartment and started up again. By now all the other people in the building and even the people at the pizza restaurant across the street we all yelling at him to turn the music down. Finally about 10:30 PM the apartment building superintendant had called the police, since my neighbor would not answer the door, and the police asked if they could come into my apartment to get to the noisy neighbor. I let them in and they climbed over my balcony to his to make him turn off his music. The police then told me to call them again if he starts with the loud music. What does all this have to do with being thankful? What I have noticed is that when you see and embrace a Bible truth that very often something will come up to "test" you in that area. When this guy was playing his music so loud and ignoring my request to be quiet I was very tempted to start yelling some more and to maybe even throw something at his speaker, which was outside on the next balcony by the way. But, unhappy as I was with the situation I kept my cool and did not let it ruin my evening. The whole thing went on for over and hour with Jon and I laughing at how crazy the whole thing was. So the next time you face a difficult situation, especially about something you are just learning about do like it says in James 1:2-4 and count it as a joyful thing when you have a trial because you can be sure that your successful completion of the trial will only make you better! There's a lot of bad news floating around these days, and I've had some financial end employment challenges for the last year. I've found how important it is to focus on all the great things that I DO have in life instaed of all the things I want and DON'T have.